Since Ebola became a global concern, certain segments of the American political system have been using the disease as a way of rallying support. 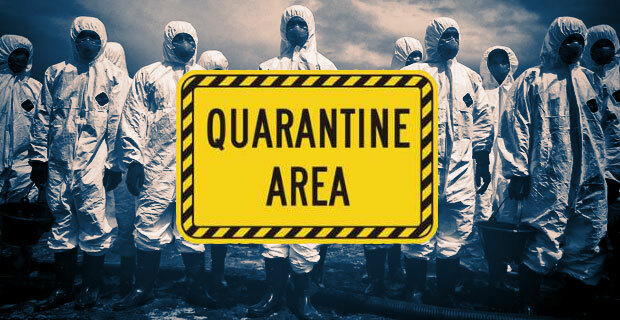 If you have listened to some politicians or news pundits over the past couple months, you may have come to believe that Ebola is indeed an epidemic that is a threat to every American. A threat being covered up by President Obama. When powerful people convince us to be afraid, they can control of our actions. The US is Ebola-free. Ebola is not a threat to Americans. Diabetes, automobile accidents, and poverty are much, much more significant threats to the American people, yet these issues are not effective in stirring fear in the political constituency. Ebola is effective at inciting fear. The politics of fear is manipulative and deceptive, but incredibly effective. In recent years we have been told that we should fear attacks on religious liberty, the dissolution of traditional marriage, the decay of traditional family values, and the tightening of gun-control laws. We are told to fear illegal immigrants, Muslims, and secularists. Many of us have given our votes, our financial support, and our ideology to politicians and power-brokers who have convinced us that there is much to fear. We have sold our values for security. Security is always the promise of the empire. We should be suspicious whenever we hear people in power promoting reasons for us to be afraid. We should be especially suspicious when they promise to have the answer to our fears. The politics of fear are always exploitative. As we enter into the holiday season we are beginning to hear about this year’s war on Christmas. Once again, we are being told that we should fear atheists, secularists, and liberals who want to remove Christ from Christmas. As the politicians and pundits incite fear of the erosion of our Christmas traditions, they rally our support to their cause. As fear becomes the primary position of the defenders of Christmas, love is pushed out. Fear subverts love, compassion, kindness, and joy. Fear becomes the real threat to the reason for the season. Whether the issue is epidemic disease or traditional values, we can never be people who are driven by fear. There is no fear in love.